Kozy Shack was looking for something innovative and exciting to help drive sales inside the store. So the brand teamed up with inMarket -- a tech company that specializes in digital advertising for physical world brands -- to create an amazing in-store activation that drove sales. 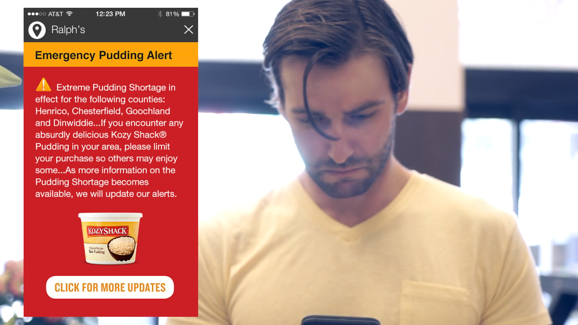 With inMarket on board, Kozy Shack had its solution: It could push message over 50 million shoppers through hundreds of the most-used shopping apps -- precisely when they entered a store.